Warialda Engineering and Welding Pty Ltd commenced trading in 1997, in the garage of its owner, Mick Davis. Mick set his sights on inventing a cost-effective agricultural implement that would not only deliver safer working practices but also save the user considerable time and energy. The result was the Davis Starlifter—a dual-purpose tool that has revolutionised the way people work with logs and steel pickets. Today, Warialda Engineering is recognised for a range of products and services that include design, repair, metal fabrication and steel products for agricultural and related industries. IBA provides leasing solutions for Warialda Engineering. 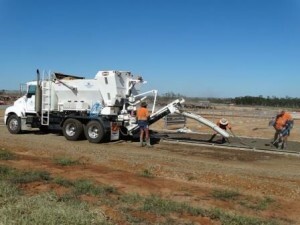 Located in the township of Warialda in north-west New South Wales, the company employs a team of eighteen staff, including eight Indigenous employees. The team takes pride in its workmanship and aims to ensure that every product leaving the premises meets the company’s high standards. On behalf of Warialda Engineering, Mick Davis has received accolades at both state and national levels. The company was the first Aboriginal business admitted to the Australian Technology Showcase (in 1998) and one of the finalists in the Ethnic Business of the Year Awards in 2014.